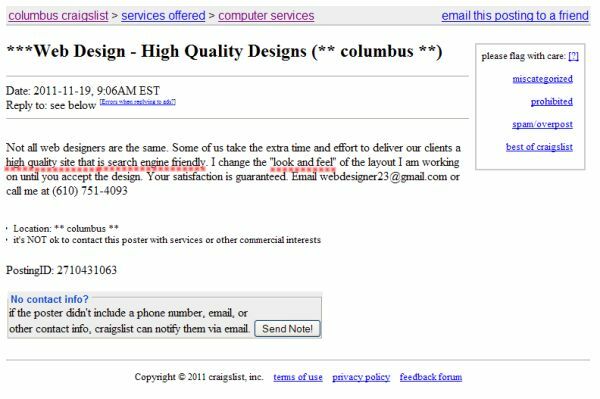 Web Designer 23 claims that he can provide high quality designs. So these quality designs--what, exactly, are they high on? This designer also "likes" to place "words" in quotes because, you "know," it makes "them" more important. Finally, do you really want to hire someone who provides no name, no company name, and no references?